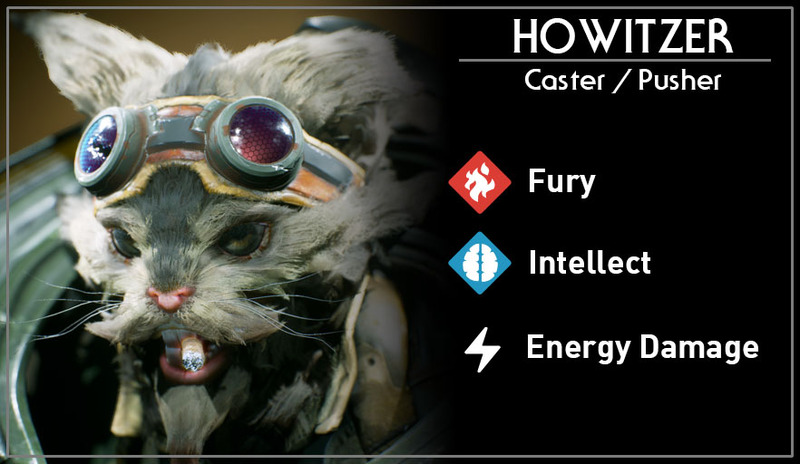 Howitzer is a long range caster and lane pusher. He has amazing range and can easily poke and zone out enemies. All skills, including his basic attack, have great Area of Effect damage and once he gains enough energy damage, his skills can clear out minion waves easily, making it very difficult to push against him in a lane. Kills or assists reduce Howitzers cooldowns by 20%. Howitzers ranged basic attack that has splash damage. 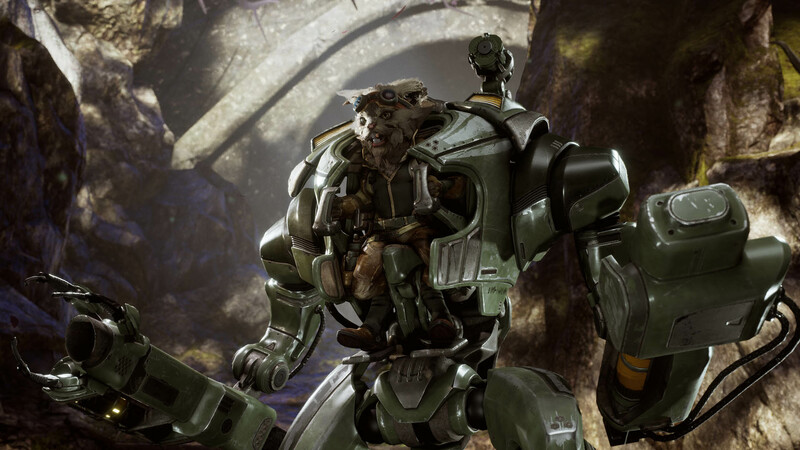 Howitzer fires 3 mines in front of him that explode after a short time or when an enemy unit triggers it. All enemies caught in the explosion take damage and are slowed. Fires a long range missile that deals damage to an area when it explodes. Howitzer plants a mine on a target location. After a few seconds or reactivating the ability, the mine explodes dealing damage and launching enemy targets away from the center of the explosion. Howitzer is also affected by the knockback. Howitzer rockets into the air and launches a barrage of missiles into an area. Damage is dealt over time to all enemies inside the barrage and 50% of the total damage is dealt by the final, larger missile.